Aşure is a special day celebrated annually in Turkey. It marks many events for Muslims, amongst the most significant being the day Noah’s Ark set on dry land. The month long festivities of Muharram (the first month of the Islamic Calendar year) centre on promoting friendship, good relations between neighbours and universal peace and understanding. As the Islamic calendar is a lunar calendar, Aşure moves each year. The day of Aşure is in the holiest month of the year, Muharram. From the word Muharram comes the word “haram” meaning sinful. The month of Muharram is all about preventing and opposing sin. Creating peace and understanding is the essence of the holy month. Ramadan, where the Muslims fast during sunrise, is considered to be the second most holy month. 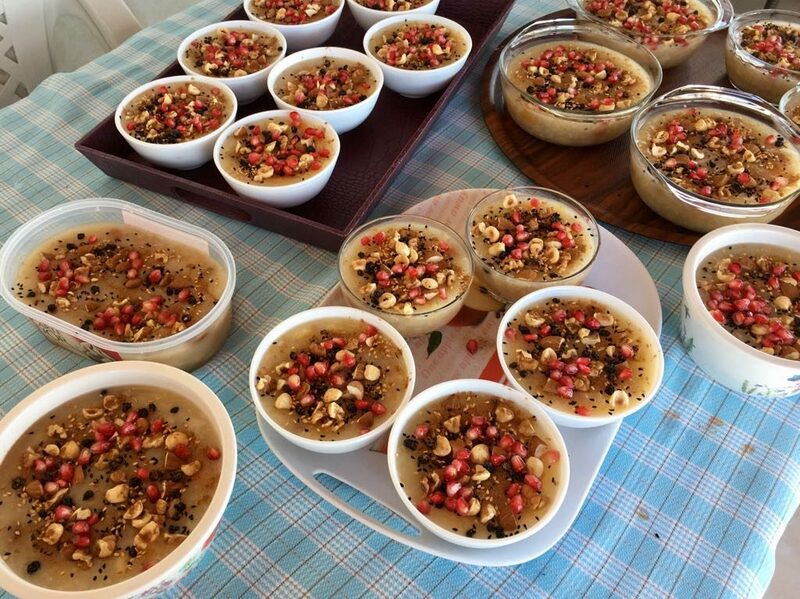 In Turkey, a traditional dish is prepared on the 10th day of Muharram known as Aşure or Noah’s Pudding. It symbolises the meal Noah created on the last day before leaving the Ark. 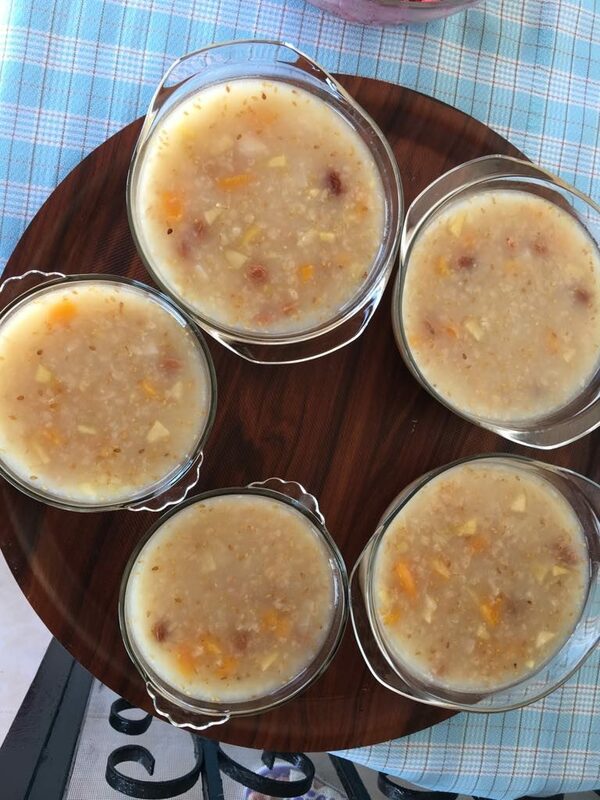 He threw all the remaining ingredients into a pot and created the ‘world’s oldest pudding’. It is a sign of peace, of being part of a community, of assisting within a community and helping to create a bright future. Below is a precis of what Muslims are taught and what I believe is very similar to the Bible story. I had to do a little research as I was rusty and could not quite come to grips with some of the lengths of lives we were talking. I then discovered, much to my amazement that many people lived a seriously long time, way back then. Did you know Noah lived to be 950 years old? But he wasn’t the oldest! Methuselah, Noah’s grandfather beat him by a meagre 19 years! According to the Bible, God created the first humans, Adam and Eve, without sin and with the ability to live forever. God gave the first human couple everything they needed for their eternal health and happiness in the Garden of Eden. But He warned them not to eat the fruit from the Tree of the Knowledge of Good and Evil or they would die, as indeed would all their descendants after them. When Satan’s deception prompted Eve to disobey this command and then Adam wilfully bit into the Forbidden Fruit, their minds and bodies profoundly changed ( Genesis 3 ). Not only did they become subject to death, but their firstborn child Cain. became the world’s first murderer. Let it be understood. The wage of sin is death. The Bible teaches openly that the early patriarchs often lived to nearly 1,000 years old and even had children when they were several hundred years old! Similar claims of long life spans are found in the secular literature of several ancient cultures, including the Babylonians, Greeks, Romans, Indians, and Chinese. For 1,500 years after creation, men lived such long lives that most were either contemporaries of the first man, Adam, or personally knew someone who was! But even a life span of nearly 1,000 years is sadly abbreviated when we consider that God initially created us to live forever. And so it goes the story ….. It was thousands of years ago and a thousand years after Adam. A community was at the threshold of a catastrophe. This community abandoned worshiping one God; they had become a community of pagans. Adultery spread, those with power were oppressing those without, and there was no justice in the land. The level of humanity was no better than hyenas in the wild. People, to one God. God required justice to be found and maintained and to eliminate all evils in society. Noah asked his people for nearly 950 years to leave paganism. He called them to the ‘true way’ believing in one God. People teased him and called him crazy. Later his wife joined the pagans in their betrayal. Noah suffered with his people for 800 years. He was very sincere in his faith to the Lord. One day God sent the Angel Gabriel to order Noah to build a ship. Inspired by God, Noah built the ship. God ordered him to take two of every creature, one male and one female, the believers, and his family, except his wife, in the vessel. Noah again told people about the flood, and warned them against it. But their response remained the same. The believers and animals boarded the ship and supplies were loaded. Then, God said to the sky “O sky! Let your water pour down”. He said to earth “O earth, hold your water”. The water started rising. As all non-believers were drowning with all their vices, a long and hard journey was awaiting Noah and the believers, a long, tumultuous journey. Days passed, food was scarce. They were facing starvation by the end of the journey. 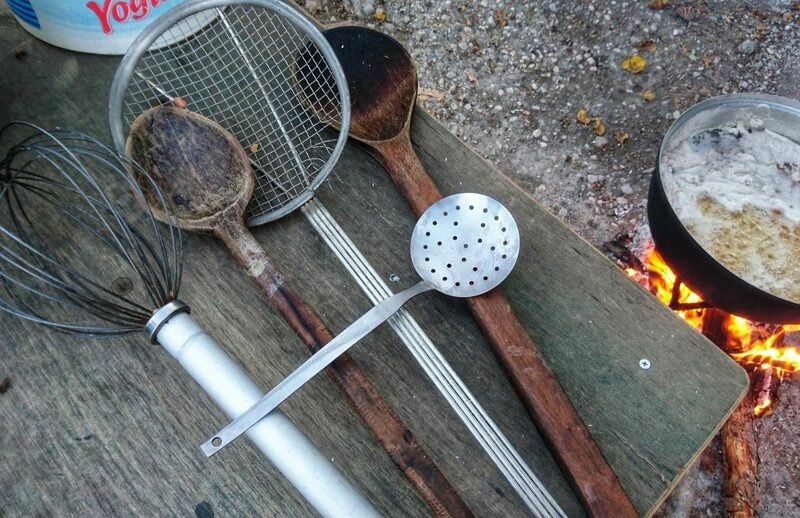 No food by itself was enough to make a good meal. Noah gathered all the foods and, mixing them, obtained a delicious meal. Believers survived through the famine. The very next day, the flood receded and they landed and were able to leave the Ark. 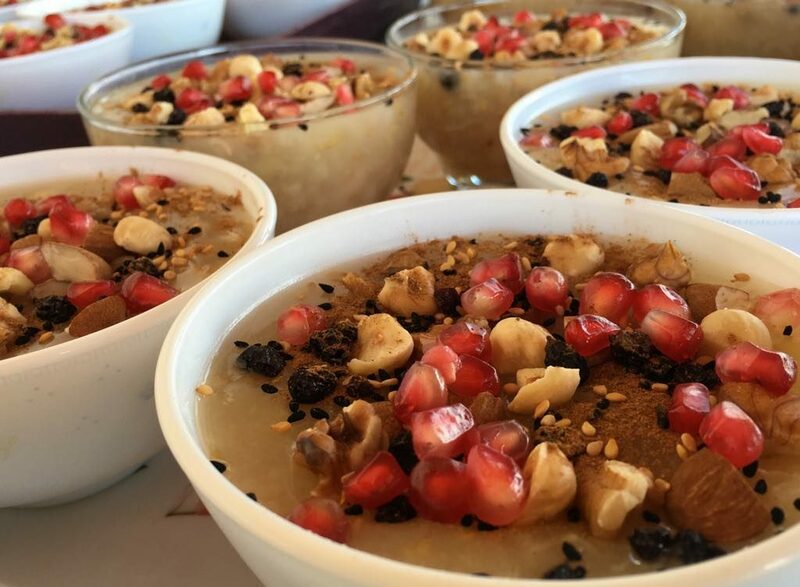 Today we call the meal Noah prepared “Aşure” It is also known as “Noah’s Pudding”. 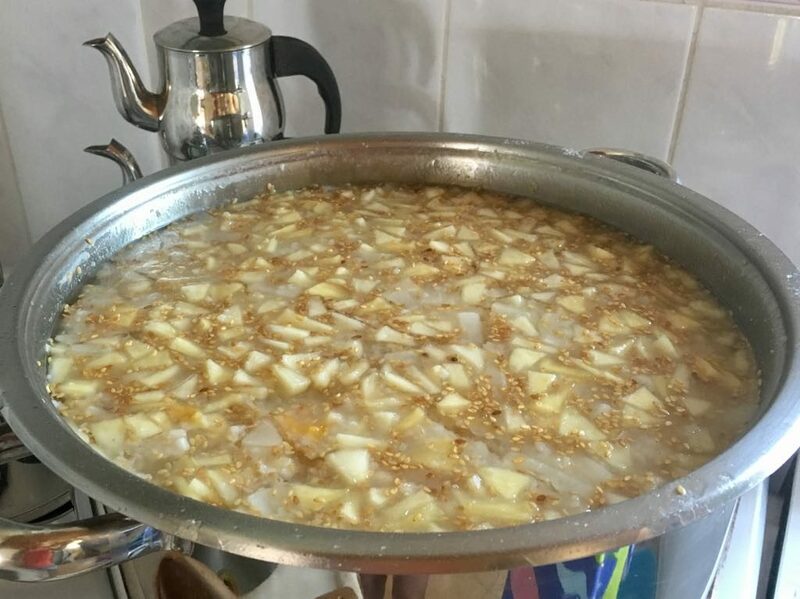 In memory of Noah and what his people went through, Muslims read the Qur’an, visit their mosque and prepare this pudding, mixing all the dry beans, wheat and whatever fruit and nuts they can find and share it with their neighbours. Leading up to cooking it, days beforehand the women will be sorting and cleaning the legumes and pulses. Soaking the beans and chickpeas and preparing them to be cooked and served on the actual day. Normally one must always return a bowl or plate with something in or on it. However the tradition is overlooked on the occasion of Aşure and it is fine to return it clean but empty. 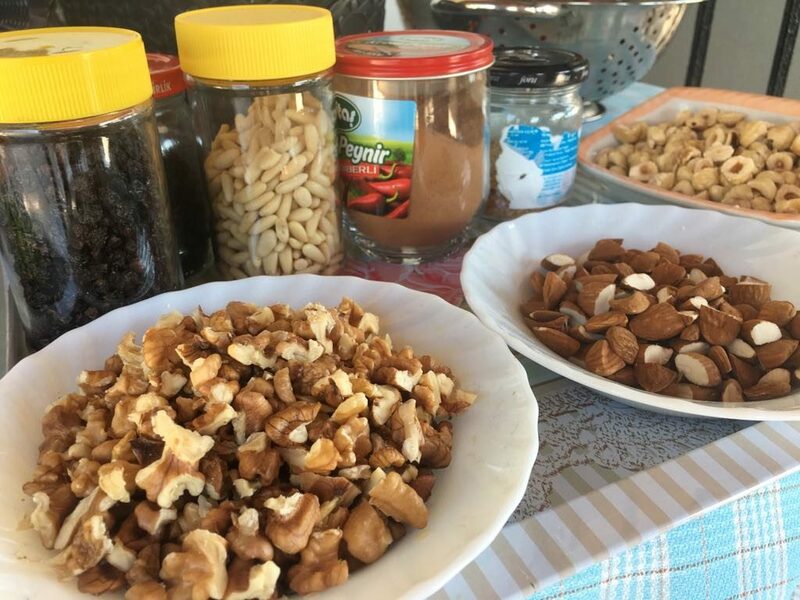 This pudding is more than just a flavoursome dessert; the nuts in Aşure provide your body with iron, calcium, vitamin E and vitamin B. On top of that, it is considered really good for the immune system, especially during the winter months. As it is made from wheat, this pudding is rich in carbohydrates and calories that keep you warm and give you the energy you need to stay active and healthy. However, clearly this year, 2018, it is falling in September which has proven so far to be just as hot as August in Turkey! So the calories and winter warming aside, it is still a very healthy treat! Noah’s pudding does not have one specific recipe, there are hundreds of variations of the same recipe, give or take a few ingredients. This nutritious and delicious pudding is made with whatever you have available. 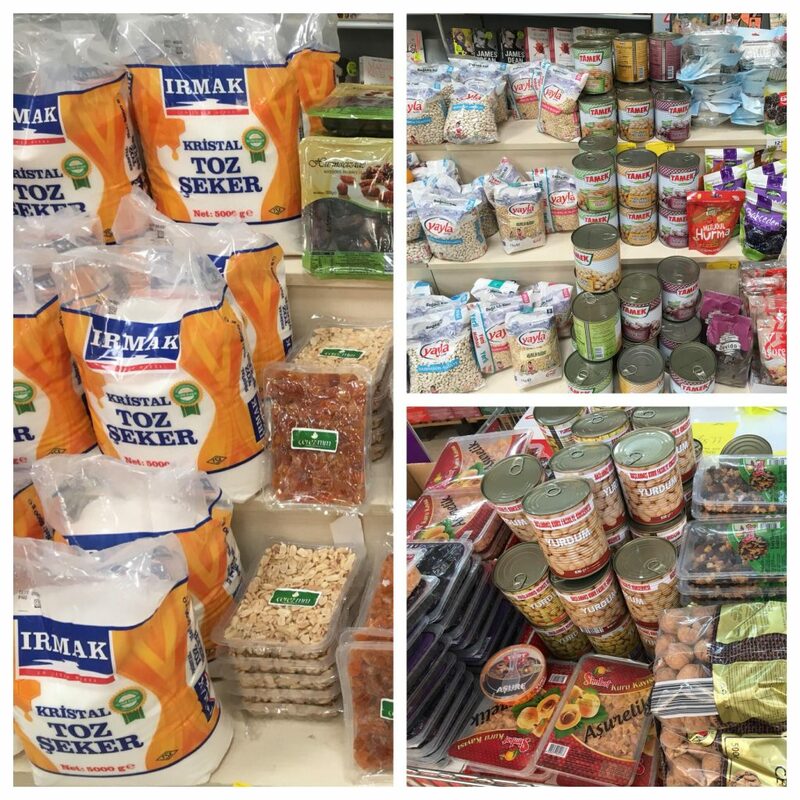 And if you have nothing available, then every supermarket and little shop in town has suggestions. 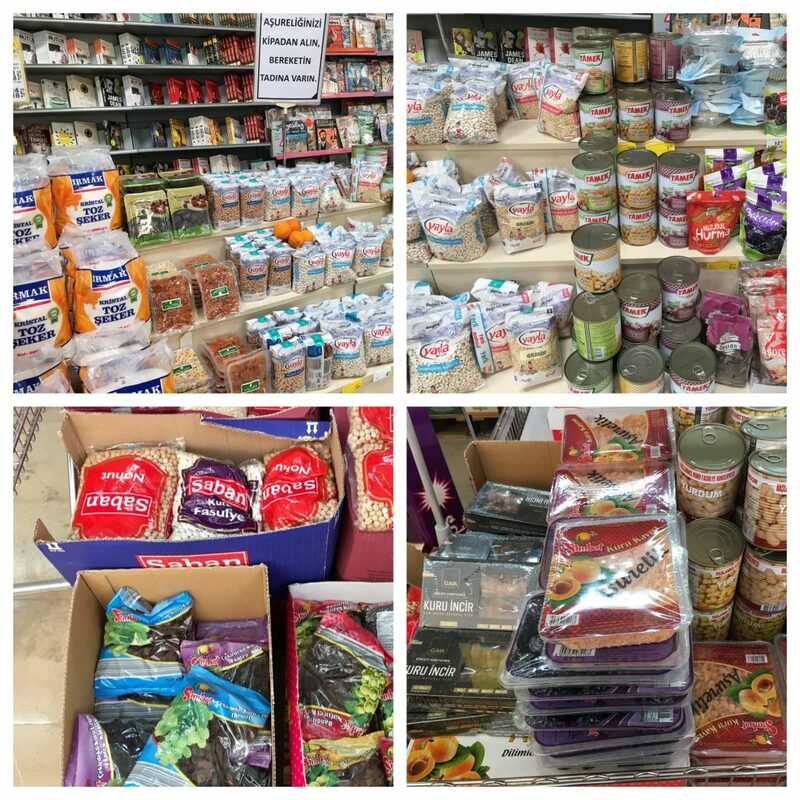 All set up on offer especially for Aşure Day. The main ingredients are whole grain, wheat or barley, apricots, raisins, currants, figs, pine nuts, walnuts, hazelnuts, chickpeas, cannellini beans and certain other fruits if they are in season, such as apples, pears, oranges, lemons or pomegranates. The recipe gives you room to play around with the ingredients according to your taste. You do need a fairly sizeable budget though. The ingredients are certainly not cheap. You see all this sugar here? Any idea how much goes into a cauldron? 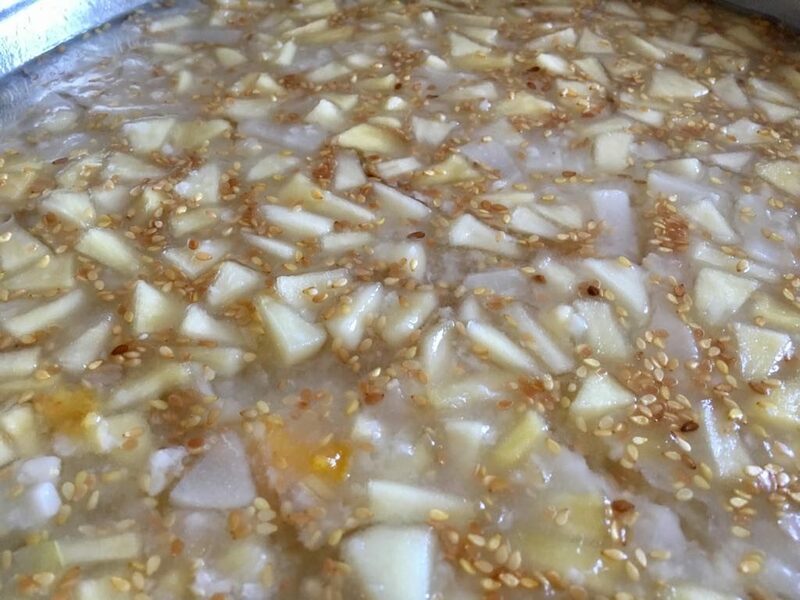 The original pudding was made with rose water to give it flavour but substituting the rose water for lemon juice or orange juice is up to the cook. Aşure is made in large, even possibly HUGE amounts when it is cooked so that it may be shared with friends, family, neighbors, classmates and co-workers. This pot contained enough for 65 portions. Şerife delivered many around the neighbourhood and entertained about a dozen ladies throughout the day in her home. Aşure is given out as a gesture of peace and friendship and is prepared in Muslim homes with special prayers for health, happiness, peace, wealth and success. 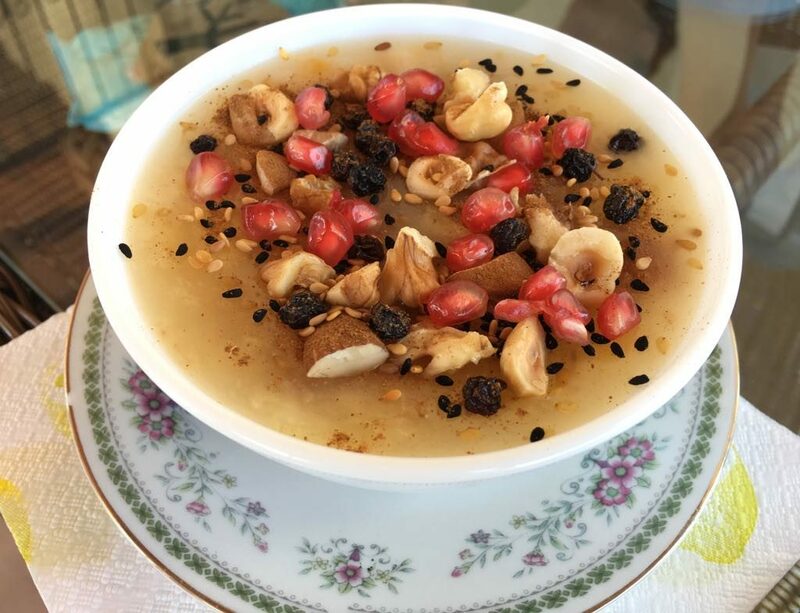 It is customary in Turkish homes that bowls of this delicious pudding be handed out to as many people as possible believing that the pudding with bring “bereket” (blessings and abundance). 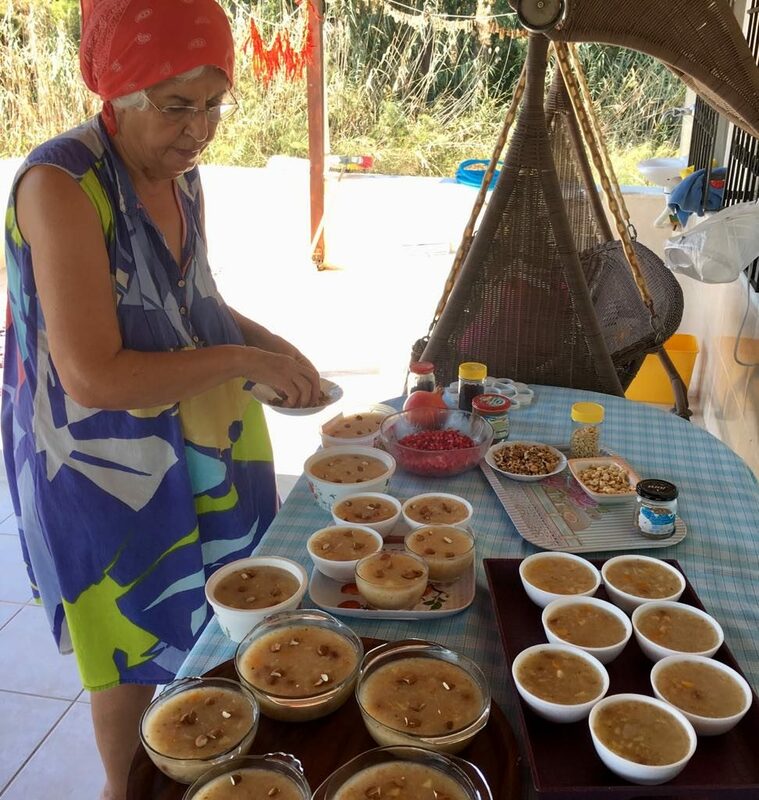 This Aşure is cooked over a 24 hour period and the photos were taken by Kat Kamstra who stays up at George House at Faralya (Butterfly Valley) during the summer. This reminds me very much of our next door neighbours in Bitez, Bodrum nearly 30 years ago. 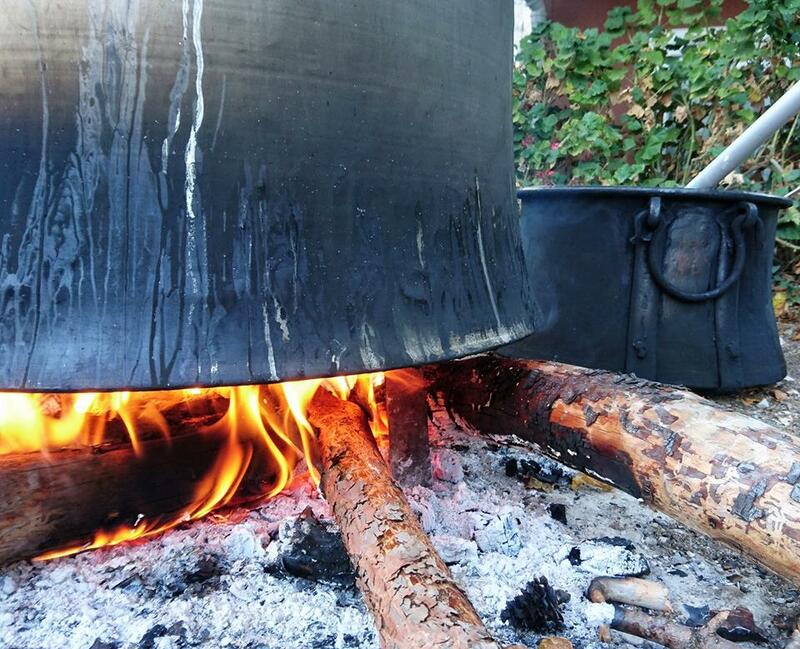 The enormous cauldron was placed on a fire outside their kitchen door and it was never left unattended. The two sisters stirred it constantly, giving each other a break every hour. One hour on, one hour off. They then spent most of the next day delivering little bowls all over the village. It was delicious, although I have to say, I did find it very sweet. 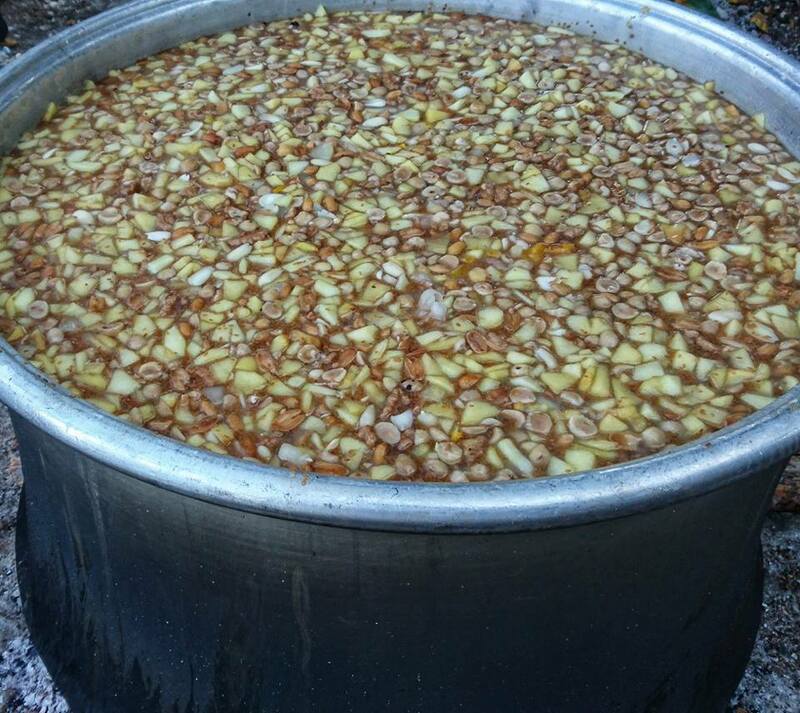 When Kat told me that 15kg of sugar went into the cauldron the other day, it absolutely horrified me. 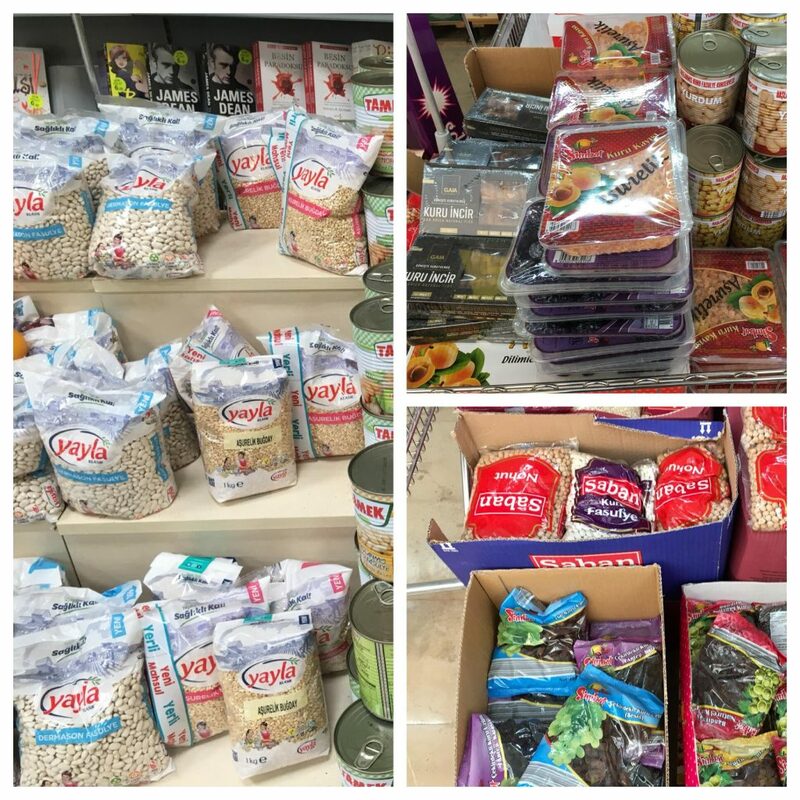 Various nuts incl walnuts, almonds, hazelnuts, pine nuts as well as currants, sesame seeds, black cumin (nigella) seeds, cinnamon and pomegranate arils. Since that time, I have had many chances to taste various Aşures and some of them are … ‘please sir, can I have some more?’. Just so good, you can’t resist asking for seconds, which is probably a little impertinent, but just has to be done! 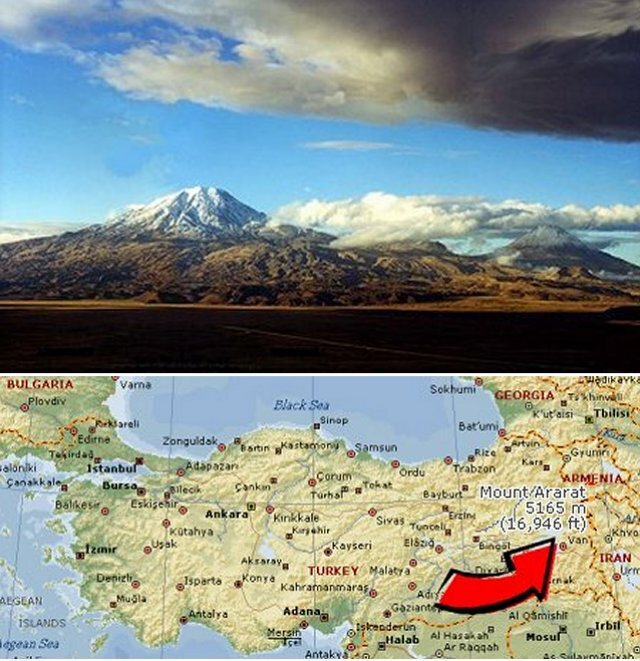 Ağrı Dağı or Mount Ararat sits in the Eastern Anatolian region of Turkey, between Doğubayazıt and Iğdır. 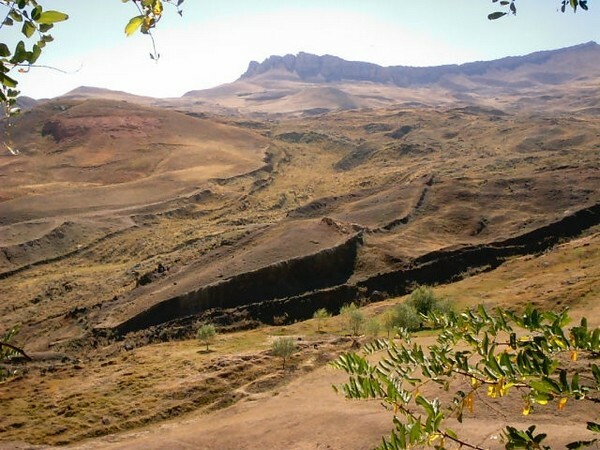 Over the past few years more evidence has come to light that Noah’s Ark did come to rest on Mount Ararat including the picture below of what is thought to be the Ark, yet no one has been able to find the Ark on the Mountain side. 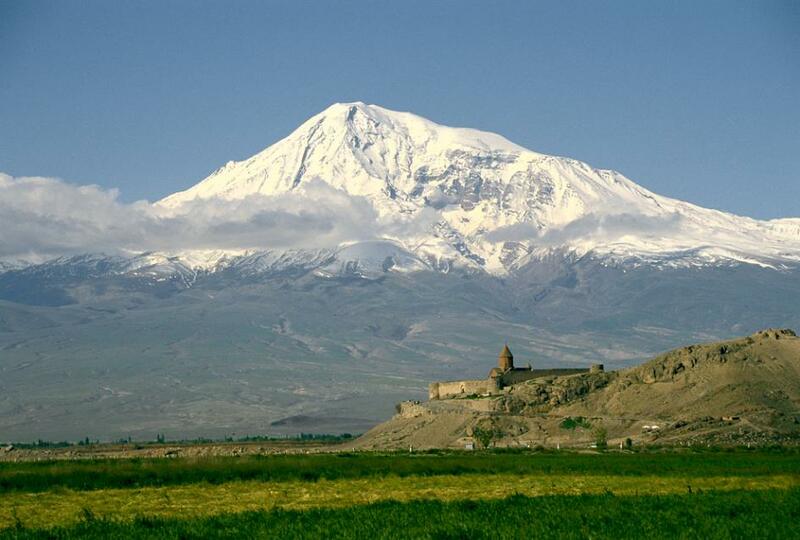 For more on the theory, there is abundant information in many languages regarding Mt Ararat and the Ark. These can be found in National Geographic or You Tube as well as many other sources. •Whoever fasts on this day is like one who fasts all his life. •Whoever clothes a naked person Allah will release him from a painful punishment. •He who visits a sick person, Allah will grant him a reward that will not be decreased. •Whoever places his hand on an orphan’s head, or feeds a hungry person or gives water to a thirsty man, Allah will feed him a feast from Paradise and will quench his thirst with Salsabil (awine that does not intoxicate). •And whoever applies Kohl to his eyes will never suffer from sore eyes again, insha’Allah. 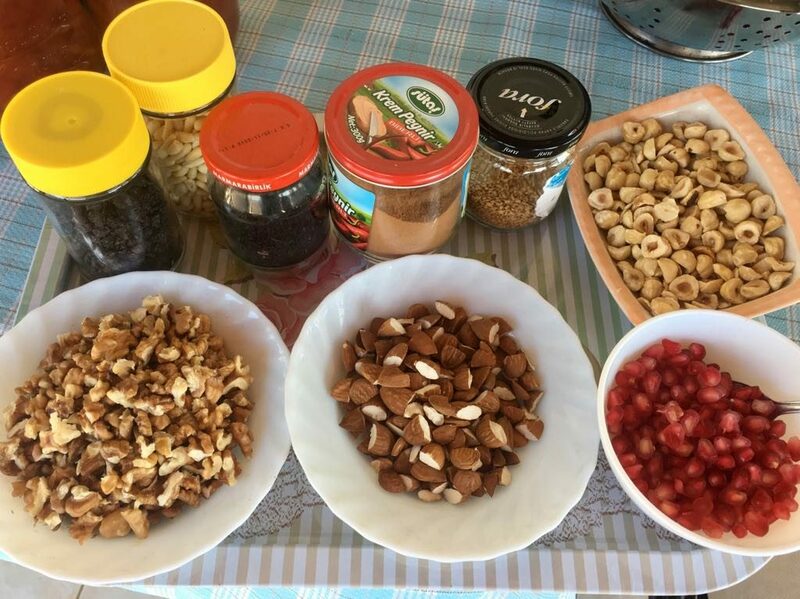 Aşure prepared at home is shared with the neighbours. Generally people who prepare Aşure send a bowl to each of the neighbours in their building. As tradition goes the residents of forty houses to your east, west, north and south are considered neighbors. One has a responsibility to maintain good relations with their neighbours regardless of what their religion or beliefs may be. 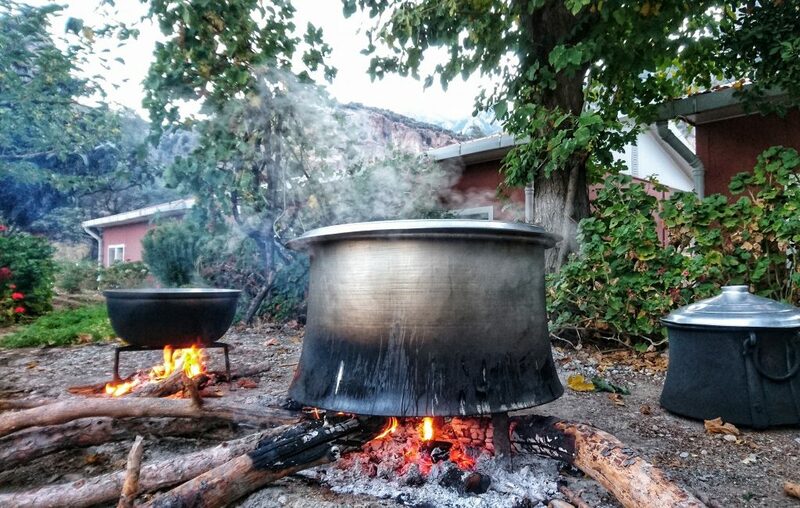 It is also a custom to prepare Aşure in large cauldrons and distribute it to the poor. Lastly, here is a message that went viral on Aşure Day – It wished us blessings and good tidings on this Holy Day. Sadly, no bowl of Aşure seemed to accompany it!